Join WTS, Marni Ratzel and Dave "DK" Kemp on a bike tour!! WTS Colorado is thrilled to have Marni Ratzel and Dave "DK" Kemp lead a tour of the recent innovations that Boulder has been testing with their Living Laboratory. 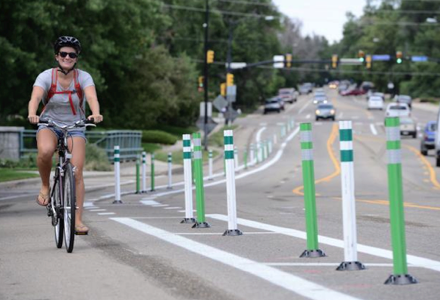 We will meet at City Hall, get set up on bikes, and hit the road for a casual 2 hour tour that includes, protected bike lanes, roadway rightsizing, Boulder Creek Trail and more! We will wrap up with snacks on the Rio Rooftop. This tour is limited to 20 people so sign up now! Register by Tuesday, August 25! !